Can you imagine your kitchen without basic kitchen appliances like a cooking range, refrigerator, a sink and a dishwasher? The dream kitchen would be equipped with energy efficient appliances like cook top, range or wall unit, oven, dishwasher, refrigerator, deep freeze, sink, microwave oven, food processor and mixer. While planning a kitchen, almost ten per cent of your budget goes towards buying and installing appliances. While making your choice, design, features and performance are important factors. Of course, how they fit in with the décor also matters. Depending on the kind of kitchen you plan to go for, you might consider going for the classic white or black colour scheme. Today, the trend is with stainless steel for its stylish and sleek look and easy maintenance. 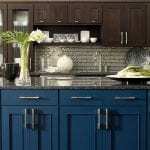 There is customized cabinetry that can conceal your dishwasher or refrigerator. As kitchen appliances can consume around 15% of the energy you utilize in your home, you can go for energy efficient refrigerators or microwave ovens that can save you money in the long run. There is quite a huge choice in the market in terms of energy saving designs today so that you can find the one that can not only fit into your décor but also perform well. It is not hard to choose the best quality appliances. Naturally you want your kitchen appliances to match your kitchen décor. 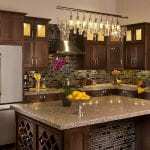 This can be done through cabinetry designed to resemble them or by adding decorative elements. While planning the location of your appliances, the design elements of the rest of your kitchen must be taken into account. You might decide to go for built in, panelled, standalone professional, or restored antiques. As we said earlier, stainless steel is trendy and fits in with most kitchen decors ranging from the traditional to the contemporary look. Obviously the stove is your most important kitchen appliance because it is here that your food gets cooked. Consider going for a stove that has easy to reach burners and ovens. There are excellent brand names in the market that make user-friendly designs so that elements like knobs and controls are in an easily accessible manner. 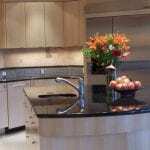 There is more to a kitchen than just good looks – it must also be easy to maintain and clean. 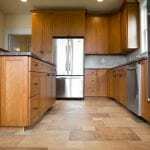 Thus, go in for materials that are easy to maintain so that you can keep your kitchen appliances look new, without a pattern of fingerprints or stains marring their beauty. Which Oven or Cooking Range Is Perfect For Your Kitchen? Cooking ranges and ovens come with a host of features to make life easier. There are plenty of manufacturer sites online that will help you to make up your mind with their useful comparisons. If you intend going for a separate oven and cook-top, you can install them wherever you want in the kitchen. Gas cook-tops with temperature controls are popular, while electric cook-tops with touch pad controls are easy to clean. You also have options like magnetic induction, radiation and halogen systems with glass ceramic surfaces. Electric wall ovens are larger than gas ovens while convection models are more expensive, yet more convenient. With microwave ovens counter-tops are most cost effective but you will have to spare space on your counter. There are over the range models and those with pre programmed settings. Some models have a safety sensor to switch off the oven when the food is hot. Choosing the right refrigerator is critical because it stores your food safely and is a kitchen appliance that runs continuously. Don’t forget the energy-rating label with the lowest kilowatt-hours per year. You want to look for a refrigerator that is space saving with features like split shelves, adjustable shelves, door compartments, built in ice makers, water filters, etc. Refrigerators with the freezer on top are considered better than those with freezers on the side. 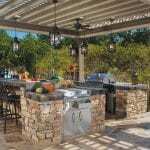 You may opt for an expensive built in customizable model or cabinet depth affordable one. Which Sink Is The Best Option? When you shop for your sink, you must look at the material options your sink could be made of and also look at water purifiers and garbage disposals because there is more to your sink than just giving you hot or cold water. 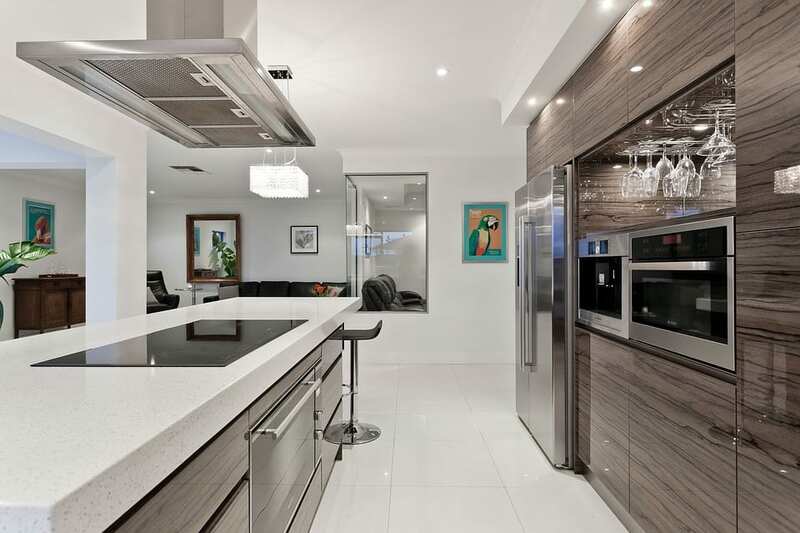 Would you go for a small counter top dishwasher or a sophisticated expensive model? Dishwashers come with a variety of features based on which you can make your choice. Features to look at are the number of spray levels and directions, cycle variations for different utensils, adjustable racks, touch pad controls and sound reduction packages. The most common is the 7-cup model but for large families you may think of a 14-cup model. Look for a mini processor for small jobs. Hand mixers are convenient for batters, whipping creams and egg whites. Stand mixers are great for baking bread, cookies and pizza dough. Getting the right kitchen appliances can make the time you spend in your kitchen fulfilling. Don’t forget to check the finish, warranty options, service offered, installation, delivery charges, and mainly, the cost.